Miscellaneous | Labels are like magic. A shirt with a picture of a crocodile, a phone with the outline of an apple, shoes with a peacock or even a banana with a smiling lady are worth more than a similar product without such an image. To make a Nissan more exclusive, there's the NISMO label. 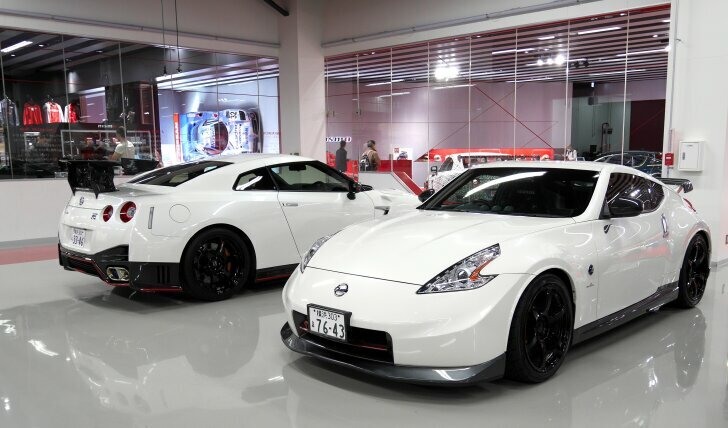 To find out what NISMO is all about, Autozine visited the world's largest NISMO Centre in Yokohama (Japan). The location of the NISMO Centre has been chosen for a good reason. Nissan's head office and main factory are located in the city of Yokohama. 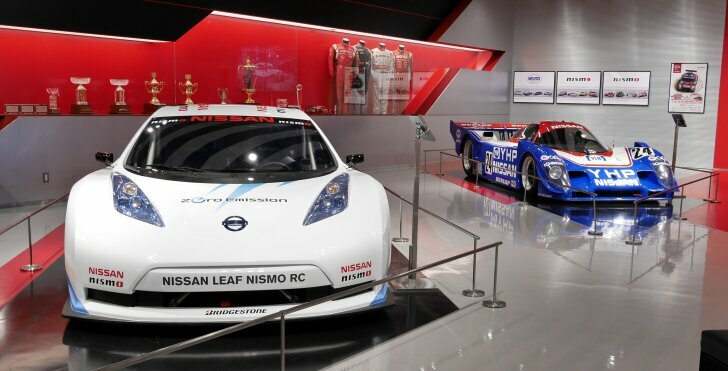 So it made sense to erect the main office of Nissan's sports department there as well. 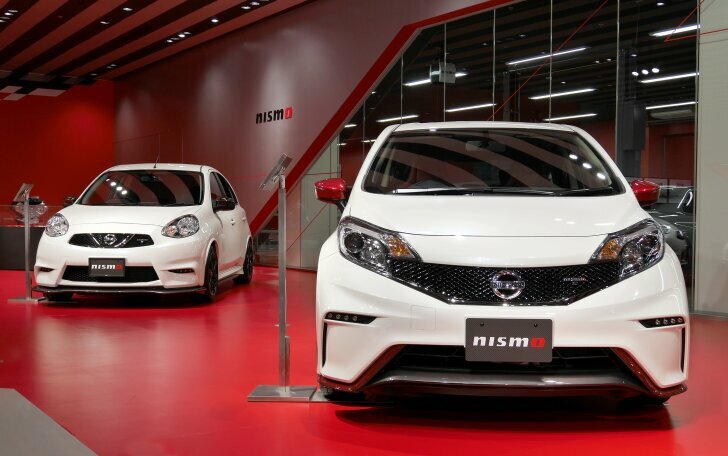 NISMO is short for "NISsan MOtorsports" and it develops sports cars and transforms regular Nissans into sporty Nissans. Inside the prominent building, with the profile of a samurai sword on the side, a showroom and workshop can be found. In the showroom three racing cars and three regular cars are on display. Roughly every six weeks these cars are replaced by new ones to encourage guests to visit regularly. When Autozine visited, the most prominent spot was taken by a Skyline (type "KPGC110") from 1972. After two docile versions from the 1960s, this was the first Skyline to clearly show its sporty aspirations which lead to the current GT-R. 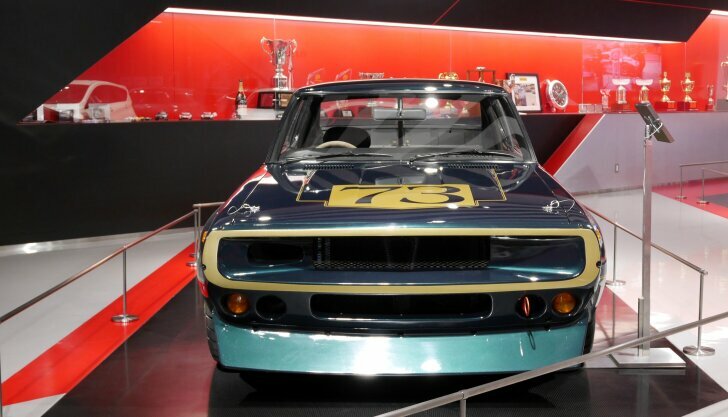 The example shown here was solely created for the Tokyo Motor Show of 1972 and never raced. When the Autozine editor shows more than average interest in the Skyline, the chief engineer offers his services. He has been in the business for 25 years and worked on most of these cars when they were actually competing. He proudly tells about the races in which the cars competed and subtly hints at the huge line of trophies that decorate one of the walls of the showroom. Three of those have been won by the 800 PS strong R90CP from 1990. It competed in the so-called "Group C" and brought Nissan three consecutive wins in this class. The NISMO Centre doesn't sell cars, but it does offer services for Nissan drivers. In Yokohama just about every stock Nissan can be transformed into a NISMO model. This service isn't limited to sporty models like the 370Z and GT-R. Even a Micra, Note or even Leaf can undergo the NISMO treatment. Of course your mileage may vary. A GT-R will be even faster and even more spectacular. A Micro NISMO will look a bit more exciting, will handle a bit sportier and will perform a bit better than a stock model, but it will never be a pure bred sports car. And yet that's what makes NISMO unique: while European labels like AMG, Brabus or Cosworth are only available to the lucky few, every Nissan can become a NISMO car. It is up to the customer to decide whether only the looks, only the mechanics or both are tweaked. In a huge workshop it's not only young cars that are being cared for. Today, several treasured cars from the 1980s and 1990s are being serviced. The chief engineer explains that their technology differs from regular cars. A basic dealer has little knowledge of these specialised machines. And, many parts are so costly that it is pays to repair rather than to replace. For tourists and those who cannot (yet) afford a NISMO car there is a souvenir shop. In this shop all imaginable products are available with a NISMO logo; from a toy car to a handkerchief and from a racing helmet to a pencil sharpener. Because the real fan knows: everything is more attractive with a NISMO logo. NISMO is Nissan's motor sport label. NISMO, 100% owned by Nissan, produces racing cars and transforms regular Nissans into sporty Nissans. And the latter is what makes NISMO special: sporty fun for everyone, not just the happy few. In the NISMO Centre in Yokohama, NISMO showcases a collection of historic racing cars together with the latest NISMO models. The centre also functions as a meeting place for NISMO fans. They regularly meet in Yokohama to watch races on a big screen TV. In Europe the NISMO story has just begun. While NISMO has worked its magic in Japan since 1984, official NISMO models have only been available in Europe since 2013. A visit to Yokohama shows what the future has in store, and it looks promising!